Add mustard, ketchup, and other sauces with the fun and whimsical Condiment Dispenser. Dress up foods at cookouts, picnics, and more with this trigger-operated dispenser. 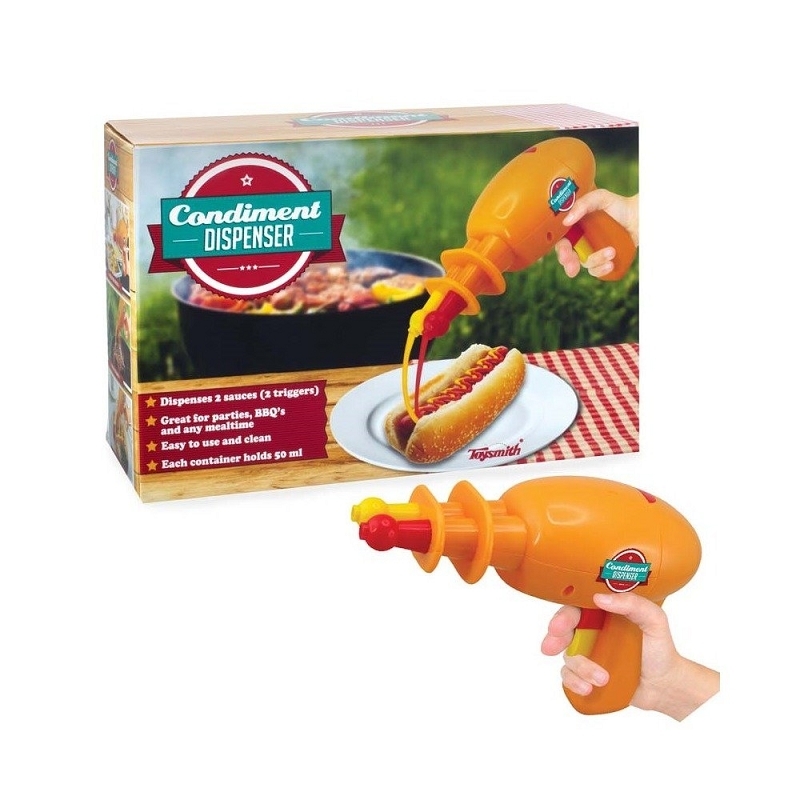 Make condiments fun for family and friends at any event with this novel kitchen gadget. With 2 canisters for smooth condiments, simultaneously add ketchup and mustard to hot dogs, hamburgers, and more. Simply fill each accordion-shaped canister with a condiment, load into the dispenser, and close to spice up dishes. Remove the canisters to clean with soap and water.